WEST WINDSOR -- The Mercer County Symphonic Band will perform its annual Spring Concert on Wednesday June 3 at 8:00 p.m. in the Kelsey Theater on the main campus of Mercer County Community College. Admission is free. The band will be joined by the New Hope Solebury High School Concert Choir, which recently performed in London and Paris. Together they will perform Wilhousky’s famous setting of the Battle Hymn of the Republic. In addition, the program offers a variety of contemporary and traditional selections, including variations on America by Charles Ives and the complete 1812 Overture by Tchaikovsky. The 2015 Mercer County Symphonic Band. The Mercer County Symphonic Band, now in its 35th season, has gained a reputation for entertaining performances and musical excellence. There are no auditions to participate. Musicians of all ages are welcome. The band rehearses Monday evenings in the Music Suite at Mercer County Community College. 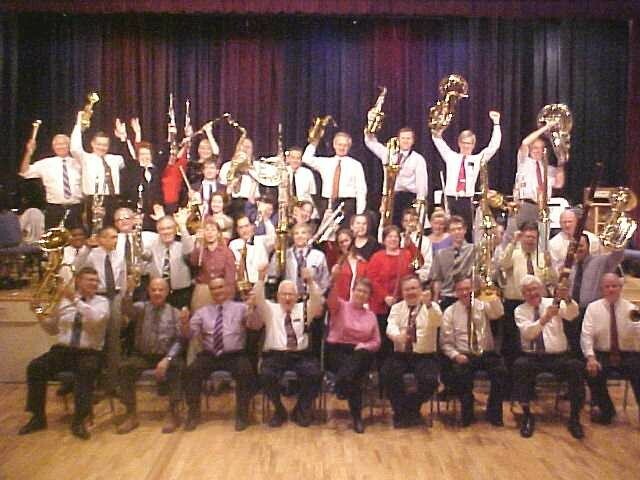 Visit the band’s website at www.mercerband.org. The band is sponsored by MCCC and is funded in part by the Mercer County Cultural and Heritage Commission, through a grant from the New Jersey State Council on the Arts.